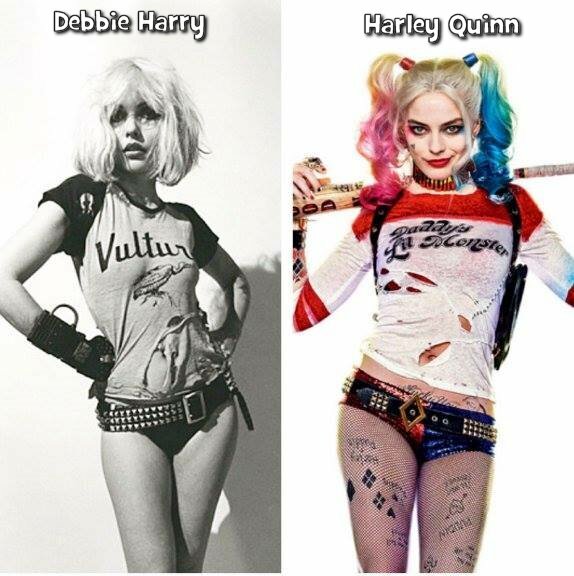 Its not hard to see by the side-by-side images that punk rock legend Debbie Harry was the inspiration for the Harley Quinn costume in the upcoming Suicide Squad movie. This fact has already been stated, but to see these images together is rather sobering. There's inspired by..and then there's this! The Blondie lead singer was an underground fashion icon in her on right the late 70s and early 80s.